I have had the pleasure to work with several darling brand new baby twins from Seattle and the Puget Sound area this past year. 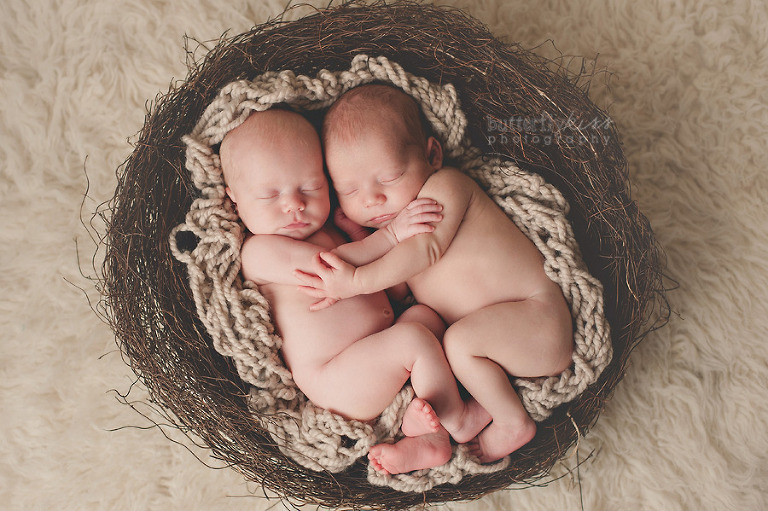 Twin sessions at my studio near Tacoma are relaxed and easy going, really not much different than a regular newborn photoshoot except that I am working with two babies; in this case a girl, Kate, and a boy, Luke. They were so good for their session, letting me pose them in this cute earthy twig nest prop, also in a little bucket surrounded by tiny colorful pumpkins to celebrate the fall season, and together on a cute vintage pastel quilt I had. The way they snuggle in next to each other, hands touching, just melts my heart! I LOVE photographing twins, and look forward to more multiples in my natural light studio this year. Mom had a great birth story she shared with me, I hope you take a minute to read it as you enjoy some of my favorite pictures from Kate and Luke’s session. During our first ultrasound appointment, the doctor said “You have twins”! We took a deep breath and were speechless…elated, but speechless. On our way home we held hands, smiled, laughed, and began to wonder how our lives would be different. Everything, times two. Wow, TWO! With a twin pregnancy, there are more doctor appointments, more ultrasounds, more risks and possible complications. I was in and out of the hospital triage with high blood pressure, swelling and poor numbers from the blood draws. I was trying not to count the weeks and days until our due date because I knew staying pregnant as long as possible was best for the babies. How long will I make it? After months of being uncomfortable and weeks of being really uncomfortable, the doctor scheduled a c-section during our 36th week. I was excited because we had a date! Then I felt guilt, because I just wanted the babies to be here and get my body back to normal. I was so swollen my flip-flops didn’t fit. Nothing fit. Well, nothing mattered now because we finally had a date, September 30th. We arrived to the hospital and I was admitted to Labor and Delivery. The nurses were amazing and helped keep us calm with their kindness and humor. We visited with our family while waiting for our scheduled time. Finally, it was 4:00pm and they took Rick and I into the operating room. Baby A was born first, our boy. I heard his first sounds and one tear fell from my left eye. One minute later Baby B was born, our girl. We were told she was having trouble breathing so they were preparing her for the Intensive Care Unit. Our hearts sank, but we remained positive because we knew they would give her the best care. After recovering from the surgery, I held Luke and studied his cute little existence. We were reunited with Kate 2 hours later and I studied her just the same. As I held both tiny babies, I couldn’t imagine life before. Finally, our dream came true, x2. Luke and Kate! People always say, “You have your hands full”. I smile then say “but so are our hearts”. Are you expecting a little one…or two? Take a peek at my newborn gallery and get in touch via the contact form above or email for current availability. I take a limited number of newborn sessions each month to allow flexibility if your little bundle should arrive early/late and so that I can create something truly special just for you. Now booking Winter 2016 – limited space for February due dates. Book now to ensure availability for your one-of-a-kind newborn session. You have worked hard to bring this new life into the world. Celebrate your story by capturing these first fleeting moments together - You have earned it! 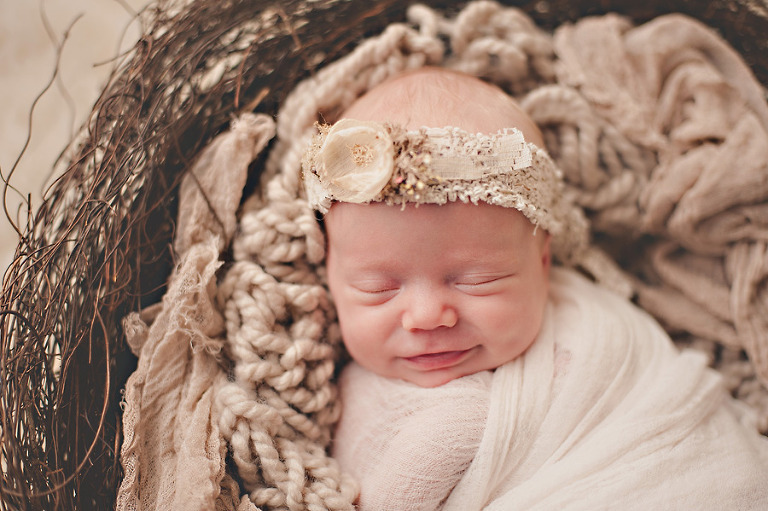 Butterfly Kiss Photography is a Tacoma Newborn Photographer with a studio located in Sumner Washington, near Seattle, Tacoma, Bonney Lake, Puyallup, Olympia and the surrounding areas. 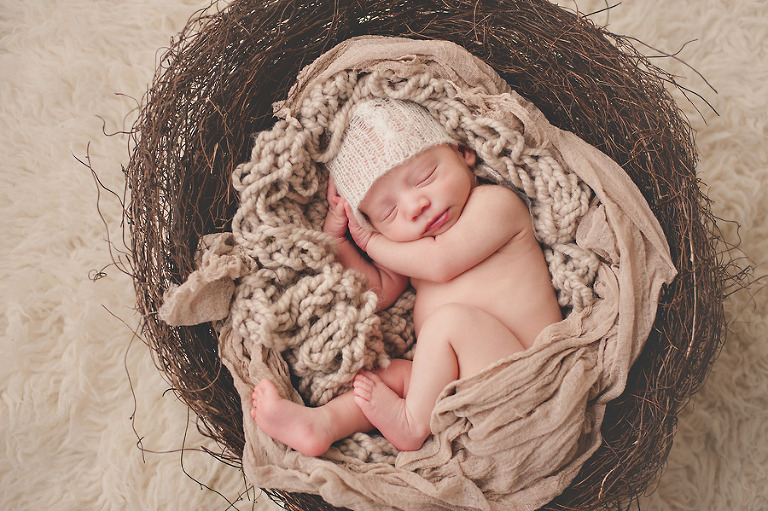 Tami Brundage specializes in beautiful organic newborn photography, baby photos up to age one, and outdoor family sessions.